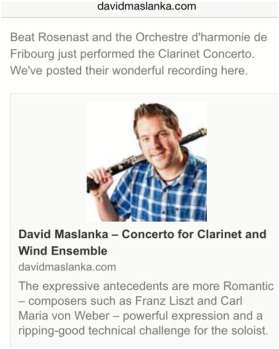 Beat Rosenast has been nominated as new clarinet teacher at the conservatory of Fribourg. 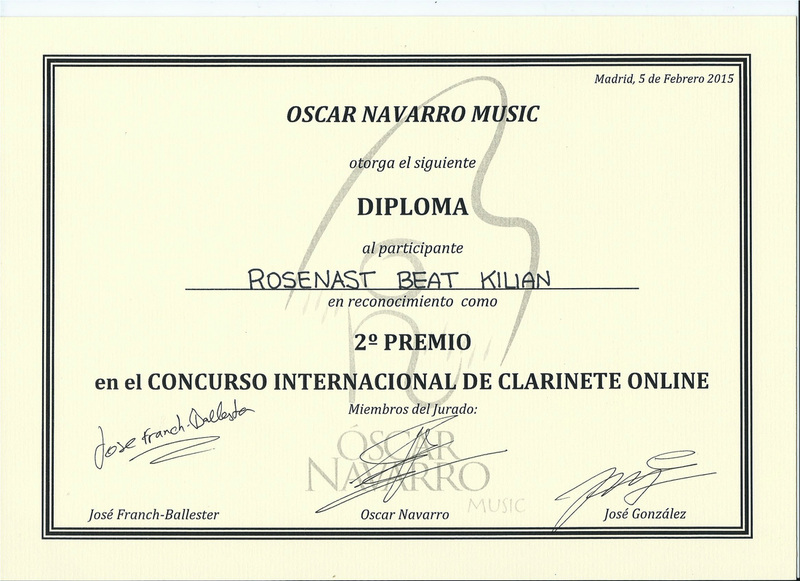 He will start teaching in September in Romont and Estavayer. "La Concordia" wins the 12. Musikpreis Grenchen.